(interview #7, below) When even one American -- who has done nothing wrong -- is forced by fear to shut his mind and close his mouth, then all Americans are in peril. the red pill, on the other hand, will strip away the cover that has blocked his view of reality. The protagonist takes the red pill, and is confronted with a world completely at odds with what we assume to be reality. Instead, the experience of life is a program in the minds of human bodies who are kept in a large matrix of individual tanks that deliver nutrients and extract energy from those bodies for the benefit of whatever/whomever created the matrix and program. Every now and then one comes upon information that has the capacity to play that red-pill role, none perhaps moreso than the material described below. Once one has been exposed to it -- unless one throws up a serious blue-pill defense -- the world is not at all the same. The basic story we've been told about the world, and have told ourselves, is fundamentally flawed. The red pill below consists of a series of interviews Canadian investigative journalist James Corbett did with Sibel Edmonds, who worked as a Turkish language translator for the FBI in the months following 9/11. These interviews are linked and summarized below. But first . . .
Can of worms uncovered -- Because Sibel Edmonds was the only competent FBI Turkish translator in the country, FBI agents from field offices all over the country began urgently sending her documents and interview/wire-tap recordings, both current and backlogged. She thus found herself connecting the dots of a large picture of which the individual field agents had no inkling. What she saw involved large-scale corruption, narcotics trafficking (mostly heroin), money laundering, weapons smuggling, sale of military and intelligence information and nuclear secrets, and a coordinated attempt to destabilize situations all over the world. These activities involved people at the highest levels of the administration, the Pentagon, and Congress. And she found that one of her colleagues, a supposed junior translator, was a spy working very hard to prevent the discovery of all this, that many of her translations were not getting back to the field agents, and that many crucial documents were being sidelined as unnecessary to translate. Blocked and gagged by the government -- When she tried to report this internally within the FBI, she was stonewalled at successively higher levels, all the way to the top. Stymied, and with both herself and her family threatened, she went to Congress, where at first her credibility was confirmed, and her message heard. But under relentless pressure from the FBI, the Justice Department and the White House -- and partisan politics -- even that channel ultimately closed down tight. When she took her case to court, the administration replaced her initial judge with a hand-picked hanging judge and invoked the seldom-before-used State Secrets Privilege that prevented her from saying anything beyond generalities to anybody. She became, as the ACLU said, "the most gagged person in the history of the United States of America." Everywhere she turned she was shut down by unprecedented (il)legal tactics that have subsequently become widely used to silence whistleblowers. Press blackout -- Throughout her battle with the first three "estates," the Fourth Estate had consistently failed her as well, with a few exception, such as an early 60-Minutes story and periodic articles that never quite got to the central issue. Only the foreign press and American alternative media showed consistent interest in her story. Finally, in 2007, she said she would tell everything she knew to any major American TV network that agreed to broadcast an unedited interview with her. (Here's a list summarizing the kinds of things she could tell.) None took her up, although in January 2008 the London Times covered her allegations of stolen nuclear secrets, an international blockbuster that was totally ignored by the American mainstream media. 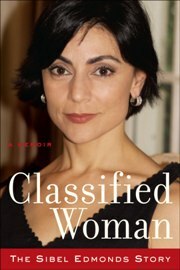 The First Book and the Whistleblowers -- In the end, she told her story in a riveting, personally-intense blow-by-blow 2012 memoir, Classified Woman (Amazon, Boiling Frogs' page). And, because in the end she refused to crumble under the endless accumulation of frustration, scores of career national security people came out of the woodwork to join her, people who had been afraid to -- or, like her, had tried to (and been crushed) -- blow the whistle on a mind-bogglingly corrupt and dangerous system. Because national-security whistleblowers were the only ones consistently and explicitly omitted from otherwise increasingly comprehensive whistleblower protection laws, she initiated the National Security Whistleblowers Coalition (NSWC) to bring these new-found friends and colleagues together. Boiling Frogs (BFP) -- After Edmond's original Blogspot blog was taken down by Google, she created the ongoing Boiling Frogs Post website, from which she and her fellow national security whistleblowers can share information with the public. The name is based on the frequent claim that a frog placed in water that is slowly heated will not notice the change and will end up boiled alive. As her story makes chillingly clear, we and our "cherished freedoms" are the frog, and she makes a good case that the water is already boiling. The Second Book -- Edmond's had to self-publish Classified Woman, because the FBI's much-delayed evaluation of her book finally -- and absurdly -- classified/redacted the whole thing, every word, and no publisher would touch it. She subsequently found out that publishing a book of fiction avoided the need for FBI evaluation, so she early on set out to write a novel that would permit her to lay out the larger picture opened up in the interviews below. The result was The Lone Gladio (Amazon, BFP's page), a surprisingly well-written, well-constructed page-turner thriller. Unlike normal thrillers, there are no white hats -- only gray hats and black hats. And by the time you've finished, you can't help but see that larger picture of the lies, corruption, control of policy and policy makers, and more that make up the real world she came to discover in her work. For an excellent discussion of both books and some of Sibel's history, listen to Jim Hogue's 2 March 2015 WGDR interview with Sibel. 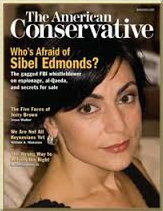 Perhaps the best introduction to what Sibel Edmonds has to offer is the above-mentioned series of interviews of her by James Corbett, of the Corbett Report. In these, she lays out a picture of which almost no one in the U.S. is aware. It is so large and grotesque that, if one were unfamiliar with her history (above), the temptation to dismiss her as paranoid or crazy would be almost irresistible. The scene of the farmed human bodies in The Matrix is an all-too-appropriate analogy to the reality she describes -- a beyond-the-pale image. But she has a remarkable memory and she knows clearly the information that passed through her hands while at the FBI, information that has been corroborated and massively extended by her colleagues in the NSWC and contacts in Turkey and other parts of the world. If you have time to check out only one of these interviews, it should be #1 below -- though the interviews build relentlessly on each other. Links to an audio version of each are provided here as well, since some may prefer to download the podcast for offline listening, or may find Edmonds' vivacious and animated self too distracting to permit full concentration on her intense flow of information . I have also included links to the excellent synopses/analyses written up by Robert Paulsen of the American Judas blog, and to printable PDFs I have made of those. (Note: if you are not familiar with Operation Gladio, and want to make the best use of interview #1, it helps to listen first to interview #0, or check out the very detailed Wikipedia article (which, interestingly, barely mentions Turkey and doesn't mention Ireland). NATO, Britain's intelligence services, and a special office at the Pentagon, using Turkey as a center of operations, are -- with the direct or indirect support of, and/or involvement and/or cover-up on the part of, many public officials in the FBI, Congress, and the administration -- engaged in keeping the world in a perpetual state of instability. creating an atmosphere in which civil liberties and civil rights can easily be suspended, immediately or gradually. These efforts are financed largely by an immense heroin flow moving out of Afghanistan through Turkey and Brussels (NATO), combined with massive money laundering. the individuals and corporations of the military-industrial complex, who are on the receiving end of the drug profits (and U.S. appropriations and aid) being used by all the warring parties to buy arms and ammunition in a situation of endless war. Operation Gladio "Plan B," in which the terrorism role was transferred to radical Muslim groups, who may or may not understand they are being used by these larger forces. It would be a serious mistake, however, to simply peruse this list and not take in at least the first Corbett/Edmonds interview above. The breadth and depth of her knowledge are perhaps the only guaranteed innoculant against the blue pill of "whacko conspiracy theory" denial. The world changes -- Once you have taken this red pill, the "Global War on Terror" suddenly becomes clear as a purposeful plan intent on extending global instability and war into perpetuity. 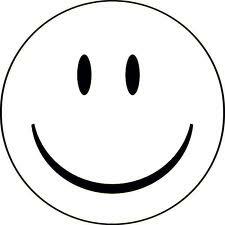 We have met the enemy (al Qaeda or whomever) . . . and he is, in fact, "us." The idea that terrorism grows out of distaste for our "freedoms" or culture, or the somehow more persuasive idea that terrorism is "blowback" for past U.S. imperial actions, can be seen as missing the point. These ideas may indeed be motivating terrorist groups, but such groups would not exist, or at best be utterly marginal, if they weren't being supported and manipulated as part of this larger picture. war-making -- Libya, Yemen, Somalia, now Syria. How can she still be here? -- Edmonds points to why it is so hard to get these ideas across to Americans. They have been inculcated by popular culture and propaganda to view conflicts in terms of "White Hats vs. Black Hats." This makes it very difficult to grasp the idea that what is going on is actually "Black Hats vs. Black Hats." She cites this impenetrability as chilling proof that the water is boiling around us frogs, and as the explanation for the fact that, while the people behind this global plan may have at one time been worried about her, they have long since decided she is not a threat, because the vast majority of the American people have been brainwashed to the extent that they would not believe her even if she told her whole story in the mainstream media. But her red pill may eventually change that. Take it. The world becomes far more interesting, and far more gripping, than The Matrix. * The Boston piece was done April 24, 9 days after the bombing. The red-pill perspective highlights different bits of information than those focused on by the mainstream media. The Russian FSB notified the FBI twice (in 2010 and 2012) of the older brother's visits to Russia. Edmonds notes that someone with good English and the languages spoken in that area would (like her) be a likely target for CIA recruitment, and the fact that the FBI took no action with respect to this case could imply that, as in so many other cases, the CIA called them off. 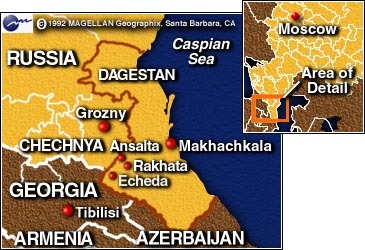 Edmond's speculates (admitting such) that by re-defining Chechens, at least for now, from being freedom fighers to being terrorists, the U.S. may be giving Russia a lower-bad-PR opportunity to attack Chechnya, in exchange for less opposition to the U.S. attacking Syria, while at the same time bringing us closer to the acceptance of declarations of martial law. The truth remains to be seen, but it is just one of many possible scenarios that the "red-pill" larger view opens up beyond the very controlled information from the mainstream media. This also raises the question of whether the suspects were little more than patsies. It is odd that everyone talks of a video of a person or persons placing the bombs, but it seems impossible to find reference to someone who actually has seen the video, or find it online. And it is odd that the two stayed in town after the explosions . . . Note: Excellent coverage all along of the utter inconsistencies in the official story of the Boston Marathon Bombing can be found at Who What Why. "Sibel Edmonds is the editor of Boiling Frogs Post and the founder-director of National Security Whistleblowers Coalition. She is the recipient of the 2006 PEN/Newman's Own First Amendment Award. Ms. Edmonds worked as a language specialist for the FBI where she reported serious acts of security breaches and cover-ups, and for that she was retaliated against and ultimately fired. The court proceedings on her case were blocked by the assertion of State Secrets Privilege, and the U.S. Congress has been gagged and prevented from taking up or even discussing her case through retroactive classification issued by the Department of Justice. Ms. Edmonds has a MA in Public Policy from George Mason University, and a BA in Criminal Justice and Psychology from George Washington University." It might be additionally pointed out that, based on her story, Congress has not been deactivated solely by gagging, or even by the likelihood of personal threats, but also by pure partisan politics and the direct involvement of many members in the corrupt and criminal activities. The Democratic Congresspeople (including those in the PEN video) who championed her prior to the 2006 election immediately shut her out after the election put them in the majority.